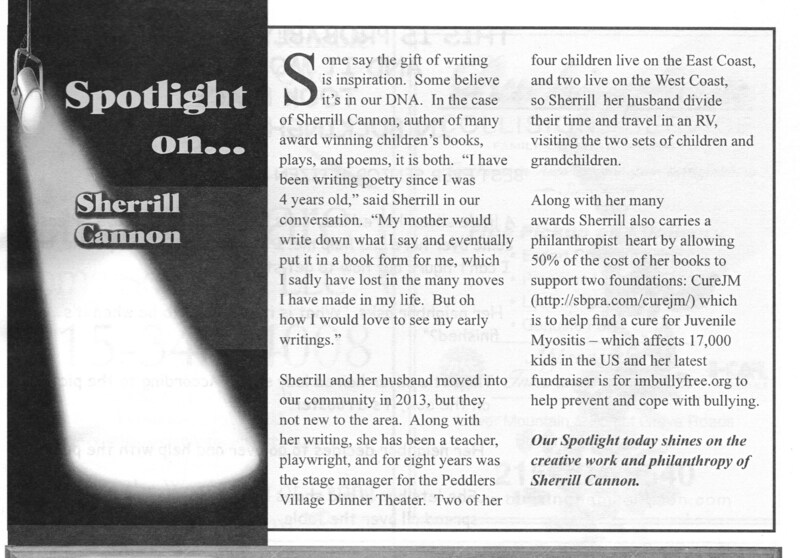 How wonderful to discover this “Spotlight on Sherrill Cannon” in our Community Newsletter! This entry was posted in CureJM, Fundraising, imbullyfree, Review, sherrill s. Cannon, Uncategorized on October 22, 2015 by Sherrill S. Cannon. Fun at the Buckingham Springs Crafts Show! 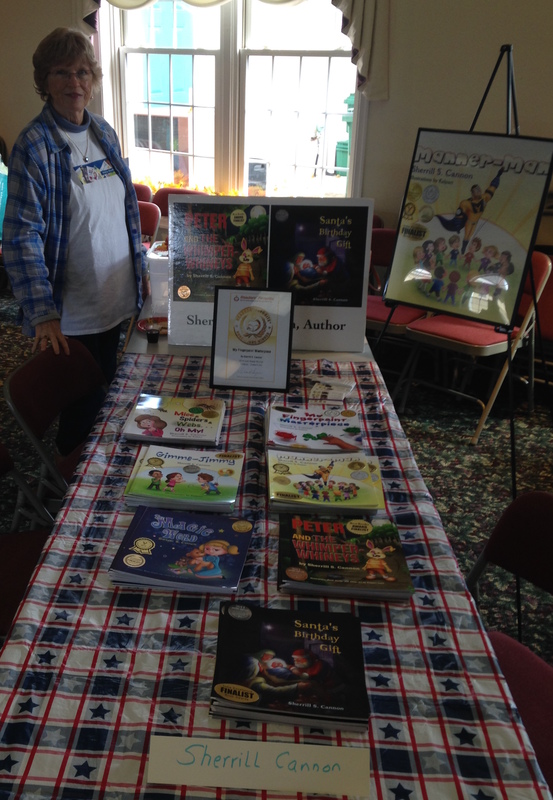 I enjoyed sharing my books, and meeting new people! This entry was posted in Award-Winning, Book-Signing, Children's Picturebook, sherrill s. Cannon, Uncategorized on October 20, 2015 by Sherrill S. Cannon. Pat Kozyra Has Shared All My Books on YouTube! Thanks to Pat Kozyra for sharing my books! Pat Kozyra is the author of Tips and Tidbits for Parents and Teachers which can be found on amazon.com She gives wonderful teaching advice gained from her 50 years in the classroom! This entry was posted in Award-Winning, Children's Picturebook, Consideration for Others, Manners, SBPRA, sherrill s. Cannon, Uncategorized on October 13, 2015 by Sherrill S. Cannon. 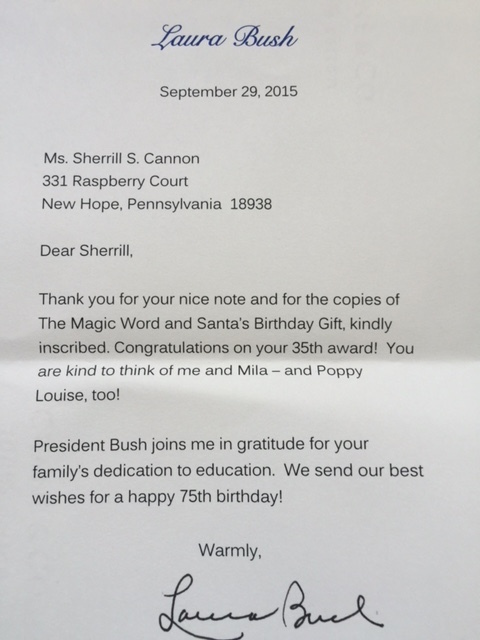 I received the following Thank-You Note from Laura Bush, after sending her copies of Santa’s Birthday Gift and The Magic Word for her to share with her granddaughters. Since she is a former teacher as well as a librarian (not to mention First Lady!) I thought she might like them! This entry was posted in Children's Picturebook, Consideration for Others, magic word, Manners, santa's birthday gift, SBPRA, sherrill s. Cannon, Uncategorized on October 7, 2015 by Sherrill S. Cannon. 5 Awards…How A Bully Learns to Share! Two Awards for Mice and Spiders and Webs…Oh My! I am so happy to have been sent the following YouTube link to Pat Kozyra’s readings of both Mice & Spiders & Webs…Oh My! followed by Gimme-Jimmy on her “Read Me A Story” program. Pat was a teacher for 50 years, and I am so delighted she is sharing my stories. She lives in HongKong! Pat is an author herself, and her book is available on amazon at Tips and Tidbits for Parents and Teachers : Celebrating 50 Years in the Classroom and Sharing What I Have Learned by Pat Kozyra. 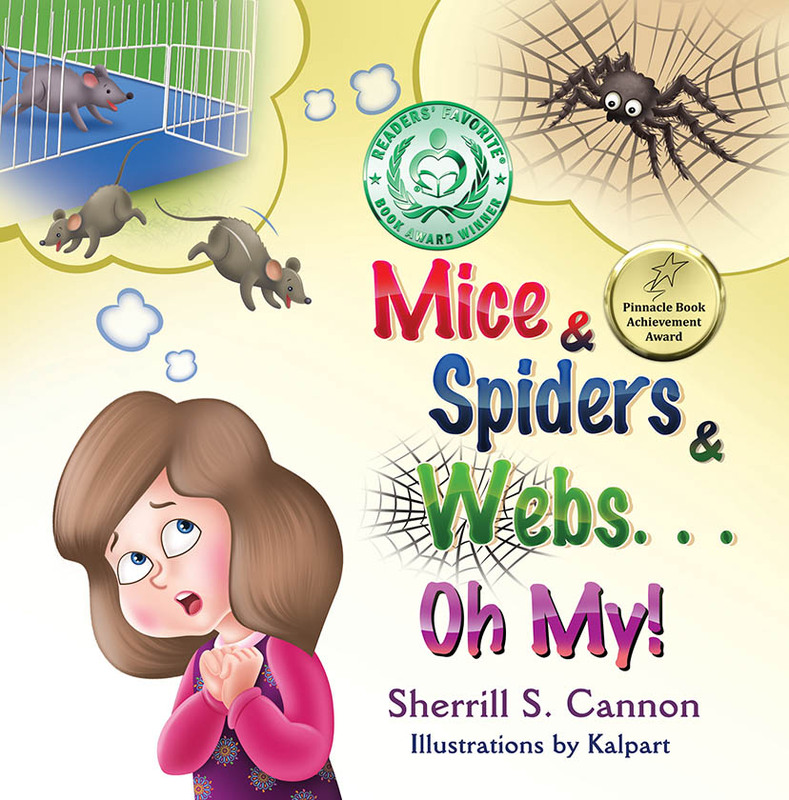 This entry was posted in Award-Winning, Book Reading, Bullying, Children's Picturebook, Computer speak, Computers for Kids, Consideration for Others, eBook, Good Listening, SBPRA, sherrill s. Cannon, Uncategorized on October 5, 2015 by Sherrill S. Cannon.